Christmas is just around the corner which means its time to start planning Christmas gifts! 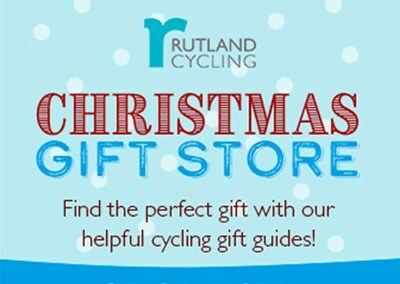 If you're struggling to come up with an idea for your cycling obsessed friend or family member then look no further, we have put together a complete guide for every type of cyclist from our #TeamRutland ambassadors. We've got gifts for roadies, MTB-ers and Triathletes, so whatever they're into, we've got a gift for them! 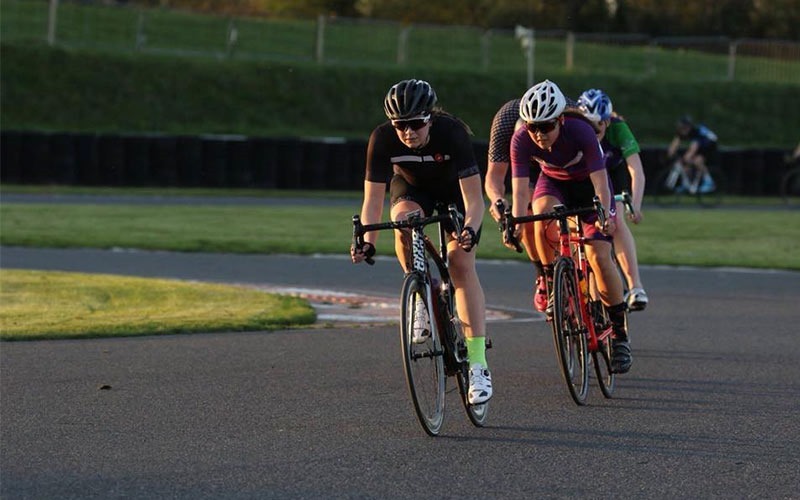 Lucy Sturgess is a road cyclist and competes in local time trials and road races. I like practical gifts, but this is practical and fun. A bike related item for every day use. Ride to eat and all that! I just think it’s a really good fun gift that serves a purpose too. A great stocking filler too, what’s not to love! From fun to practical my number two Christmas gift item is this Liv quick fix kit. They are all essential items for a bike rider and so things you will use. The fact its pink and looks nice and shiny just makes it even more appealing. Pink isn’t for everyone and I certainly don’t like all my kit to be pink, but do like the odd pink or purple touch. Not to worry if you prefer something more neutral as its available in black and silver also. The Liv Quick Fix Combo Kit includes a saddle pack, mini pump, mutli tool, tyre levers and tyre patch kit. A 9 function versatile multi tool allows you to adjust almost all parts on the bike if needed. You won't have to make that all important call asking for a lift home with this kit as you will be equipped to carry out road side repairs yourself. 12 glueless tube patches provide you with a back up if you forget your inner tubes or are unlucky enough to puncture all of your tubes on a ride. Wahoo's Elemnt Bolt is the first, fully aerodynamic GPS bike computer and features a patent pending design that seamlessly slices through the air. Despite this aero design, the Elemnt Bolt doesn't cut pack on performance with both Bluetooth Smart and ANT+ dual-band technology seamlessly pairs the unit with your favourite cycling sensors. Archie has been riding mountain bikes for many years so is a pro when it comes to Christmas presents for MTB-ers! 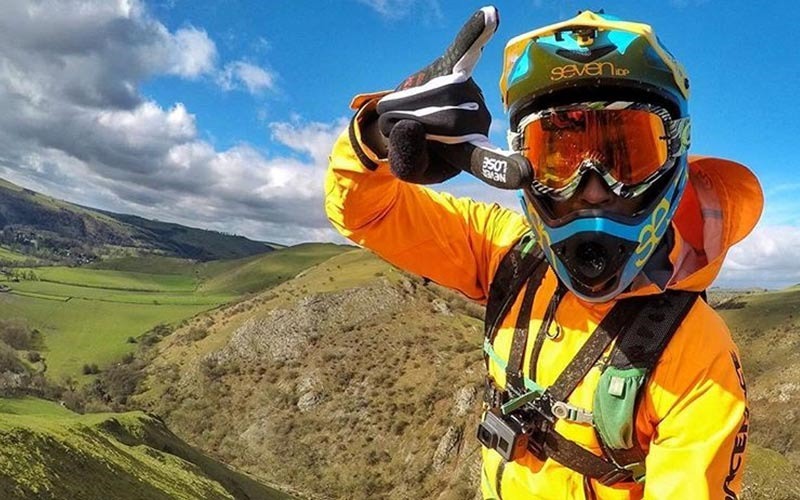 Its always fun going full Enduro, but wearing Goggles can get sweaty whilst riding. Getting some proper MTB glasses that look the part would be right up on my Christmas list. Plus they’re Oakley Prizm, need I say more!! Engineered to be the ultimate multi-sport sunglass for training, running and beyond. The Oakley Flight Jacket is the ideal sports sunglass. With an open-edge brow and the new Advancer nose bridge, these glasses maximise the upper field of view whilst opening airflow to prevent overheating and fogging - allowing you to perform at your very best. A must have accessory if you ride in any conditions other than dry, dusty trails. Not to mention these just look cool. Don’t look like a newbie, accessorise your bike! You aren’t shredding hard enough unless you’re getting covered. My Sealskinz have always been part of my winter riding. They just work. This MTB Ankle Sock with Hydrostop from SealSkinz will keep you warm and dry in Mountain Biking conditions. This ankle sock is performance thin, lightweight and waterproof. The Hydrostop technology provides a secure fit between your leg and the top of the sock, reducing the chance of water entering through the top! 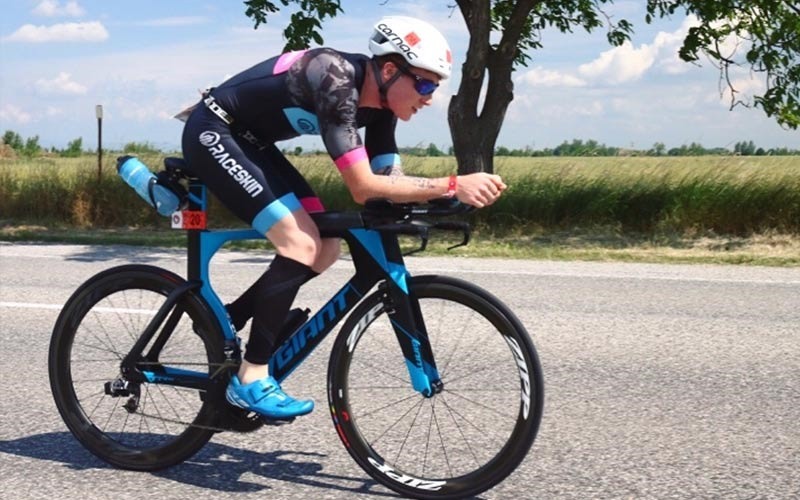 Josh is an Ironman triathlete who is looking to gain his pro licence next season! Fantastic for recovery after a hard session as they help to reduce swelling and improve circulation. Ideal for any triathlete with multiple sessions a day! Twin pack compression socks - ideal for rapid recovery after days out on the road or trail. Endura's high stretch Compression Socks support your muscles and help improve circulation after a workout on your bike. Great for winter training and really helps to keep you riding consistantly when the weather is poor outside, especially when paired with platforms such as Zwift. A little bit more expensive but definitely worth the investment. The Tacx Flux is a fully interactive Smart trainer that connects you to all of your favourite apps. Hosting the dual band ANT+ FE-C and Bluetooth technology, it communicates with and can be controlled by any device of your choice. These may be small but they sure make a lot of difference. I wear them during spring and autumn and during colder races as they keep your toes warm, meaning you can feel your feet on the run! Protect your toes with the durable Toe Thingy 2 by Castelli. Windproof Neoprene protection for your toes. Michelle has been riding for just over 4 years and has taken on many long distance challenges, but is also a super commuter! A good quality pair of waterproof/windproof gloves to keep hands warm and dry through the winter. Sealskinz have been making great waterproof products for years and these look great too. The Sealskinz Dragon Eye Road Women's Gloves offers maximum comfort and dexterity, providing the ultimate performance. Completely water and windproof these gloves will keep you riding as the air gets colder and the rain gets heavier. Baselayers to jerseys to socks. Merino wool is warm, even when wet and it is odour resistant, a cyclist best friend. I have these Castelli socks and they are great, paired with a merino buff it would make a great gift. Originally I bought Aftershokz Trekz Titanium Bone Conducting Wireless Headphones for my husband as a present and he loves them, then he gave them to me for a present and I understood why. They changed my commute, I can listen to music, audio books and podcasts all while still hearing what is going on around me on the bike. The lightweight and comfortable Trekz Titanium wireless stereo headphones is the safest alternative to traditional sport headphones and earbuds. Bone conduction technology, an open ear design and a suite of convenient features deliver premium music play and crystal clear calling without compromise. Come into one of our stores to speak to our expert staff and see what their gift ideas are!